Following are some of our favorite places, albeit not the most famous ones for the general public. A very unusual museum where the curious story of Japanese advertising and design is selected and gathered in one place. This museum will not only take you through the advertising history of Japan (since the Edo period, seventeenth century) but also through the Japanese cultural evolution. You will be able to gain an insight like never before of how the Japanese buy and why they prefer some products to others. It is a story of their likes and dislikes, of their preferences and desires through the years, and a genuinely fascinating one. The selection is of Japanese advertising only, but information is available in English. Highly recommended to all natural science and animal lovers, the National Science Museum is in Ueno Park. If you happen to stay there on the National Museum Day (18th of May, however, do consult the museum’s website), the entrance will be free of charge. The Japanese Gallery: focusing on the history of the Japanese islands and the evolution of people and nature. The Global Gallery: focusing on animal evolution, the science and technology progress. It also offers exhibitions of ancient to modern-day animals, 360-degree cinema and computer screens with live streaming. 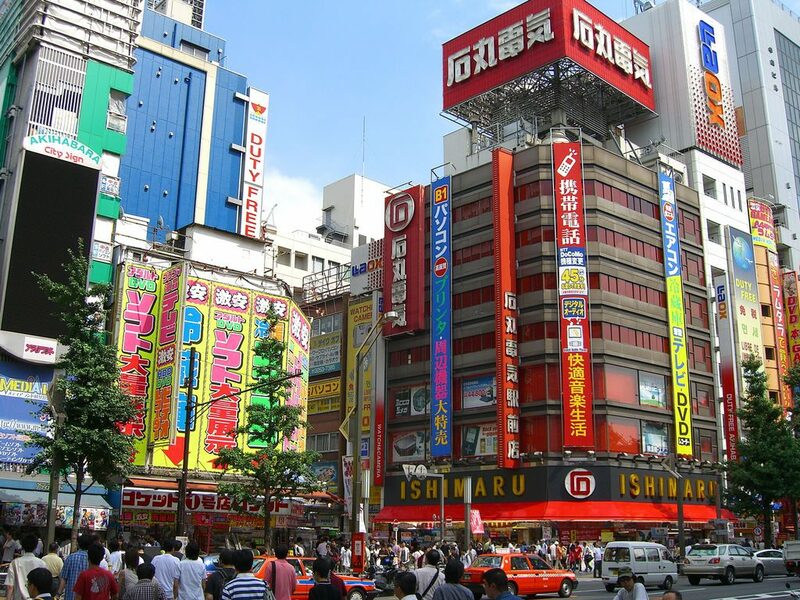 A central Tokyo district, famous for its numerous electronics shops. 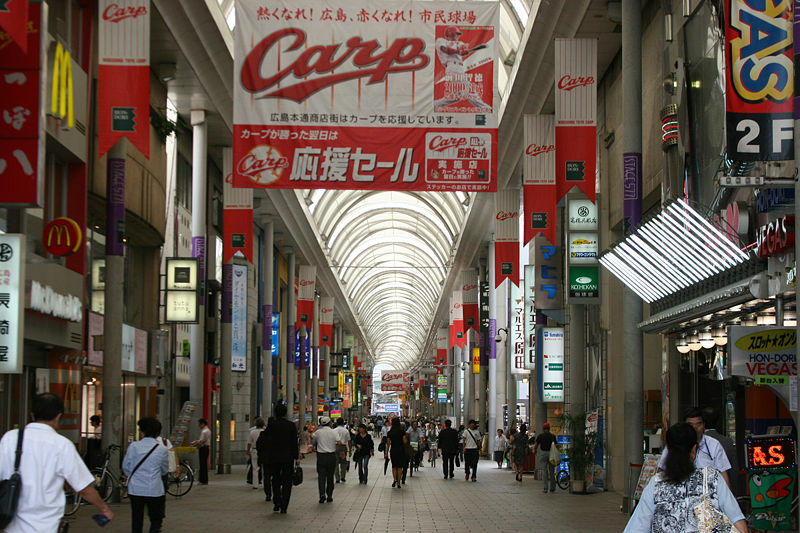 A place for all the devoted fans of the technologically advanced Japanese culture, who will jump for joy once they discover the variety of gadgets this district has to offer. Softmap and Laox are just two of the major electronic shops you will find there. A unique attraction for anime lovers – the Tokyo Anime Center (4th floor of the UDX building) has to offer anime-related exhibitions, events, and shops. Location: Akihabara Station (Keihin-Tohoku Line, Yamanote Line, Chūō-Sōbu Line). Just 15 minutes away (by JR train) from the central Tokyo railway station is located one of the greatest attractions for children and parents! Disneyland will take you to a dream kingdom you could never have imagined, with a little bit of Japanese magical dust spread around the fields of joyful shouts and eagerness to hop on all the attractions. It is important to remember – probably there will be a lot of visitors. However, everyone working for Tokyo Disneyland tries to make it as easy as possible for everyone to enjoy their time there. Have you ever wondered how to make a plane or a beautiful flower out of a piece of paper? Have you ever thought this was impossible, and only Japanese elders were allowed to gain such knowledge? Joking aside, this is indeed a beautiful art that can help you change your entire home! 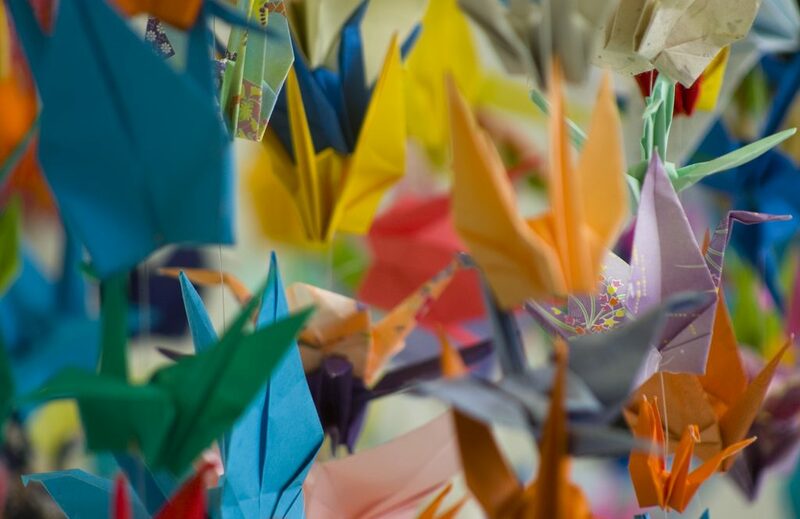 Visit the Origami Kaikan workshops and factories and learn it yourself! You will not have to pay anything; this workshop is free of charge. On the 2nd and 3rd floors of the building, you will be able to observe the process of traditional Japanese origami making and decorating. Location: 1-7-14 Yushima, Bunkyō 113-0034. And last but not least, the most spectacular, the Sumida River Fireworks Festival. The best thing about them all is that none will cost you a penny. However, each event will leave you breathless with the desire to start planning your next trip to Tokyo. Japan is a paradise on earth for the IT addicted. The giants: Sony (showroom located in Ginza) and Toyota (Odaiba entertainment and shopping district) offer the general public free showrooms, where everyone can learn more about and play with the latest gadgets and technology from the two companies. If you have an exotic taste for ice cream, and you have always wondered what shrimp or garlic with mint ice cream would taste like – this is the place that will answer all your questions. The Cup Ice Cream Museum does have a rather unusual approach to their ice cream flavor selection, however, with over 400 different choices; you are guaranteed to find the perfect match. Sumo tournaments are considered a must-see by many international visitors (not to mention the Japanese, they are just crazy about this sport). However, what very few think about is the curious preparation routine that stands behind these traditional Japanese fights. Watch how sumo practitioners get ready for a tournament by taking a closer look at their not so famous sumo practice. The Arashio Stable offers anyone, willing to wake up early, to gain a curious insight into this unknown to most of us type of art. Typically, practices take place in the morning from 7:30 and 10 am. Takayama, also referred to as Hida-Takayama, is a small, very well preserved mountain town, situated in the Hida region (Gifu Prefecture). One of the few places in Japan where a whole region is so beautifully preserved. For those who appreciate the essence of the Japanese culture, its purity and respect for nature – this will be the perfect destination. Just as if still living in the past centuries, the old town will take you on a journey through time and share with you what it meant to live in Japan during the Edo Period (1600-1868). 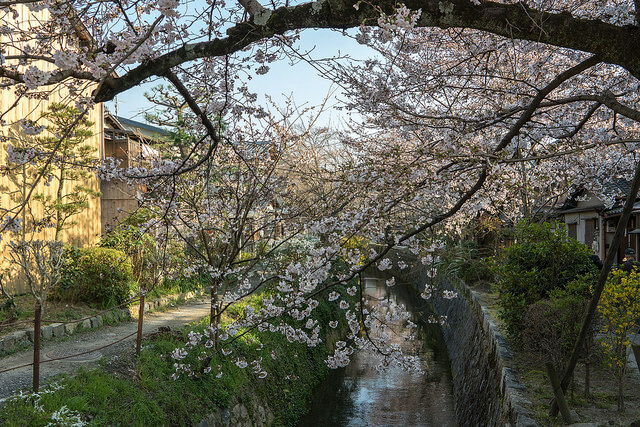 After visiting the Old Town, take a stroll through the Higashiyama Walking Course and discover more than a dozen hidden temples and shrines, as well as the ruins of Takayama’s former castle. The walk will take you high up the hills of Shiroyama Park, where you will enjoy beautiful mountain views. The walk is 3,5 kilometers long and will take you away from crowds straight into the wild. Matsuri no Mori (in translation: Festival Forest) is a museum, dedicated to the main facts of the Takayama Festival. 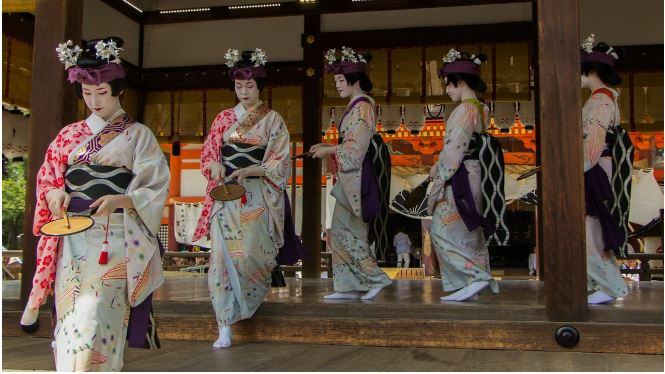 It is considered to be one of the three most impressive and beautiful festivals of Japan, together with Gion Matsuri of Kyoto and the Chichibu Yomatsuri – a night festival close to Tokyo (90 minutes by car). The very entrance of this mystical underground museum will offer visitors to play the giant Taiko drums, placed by the door. Once inside the cave-like museum, travelers will see large screens depicting the magical floats from famous festivals around Japan. Witness a genuinely genius craftsmanship and a mystical experience. Location: 5 Chome-1 Tenmanmachi, Takayama, Gifu Prefecture 506-0025. Amid the northern Alps is set the great former castle town of Hida Takayama, which is currently one of the best-preserved castles in Japan. The center of Hida Takayama is called Sanmachi Suji – a central historical region that consists of three main streets – Ichino-machi, Nino-machi, and Sanno-machi. 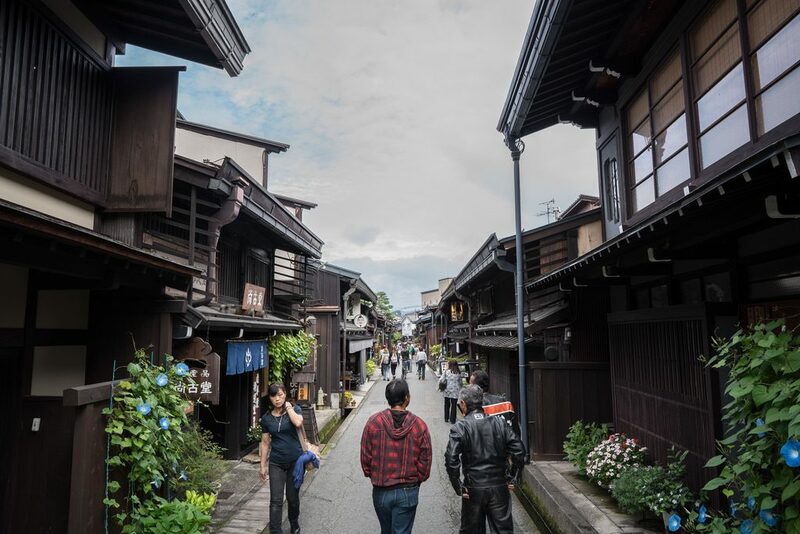 Along those old streets, you will find small shops selling traditional crafts, Japanese merchant houses, hot springs and many temples. The area is called “Little Kyoto” by the locals for its natural waters and well-preserved shrines and temples. Known in Japanese as Hida-no-Sato, this model of a folk village has over 30 buildings, recreating Hida’s historical look and including National Cultural Treasures. Life and culture of mountain farming villages are recreated, with displays of traditional crafts and a beautiful central lake. Famous for being one of Japan’s three most beautiful gardens, Kenrokuen attracts many visitors who seek to soak up as much from Japan’s nature as possible. The park fascinates with its clean waters, flowering gardens, stones, and hidden nooks. All of this and more is available to the general public for free. It is needless to say that in the spring the cherry blossoming would leave breathless any visitor – foreign or not. 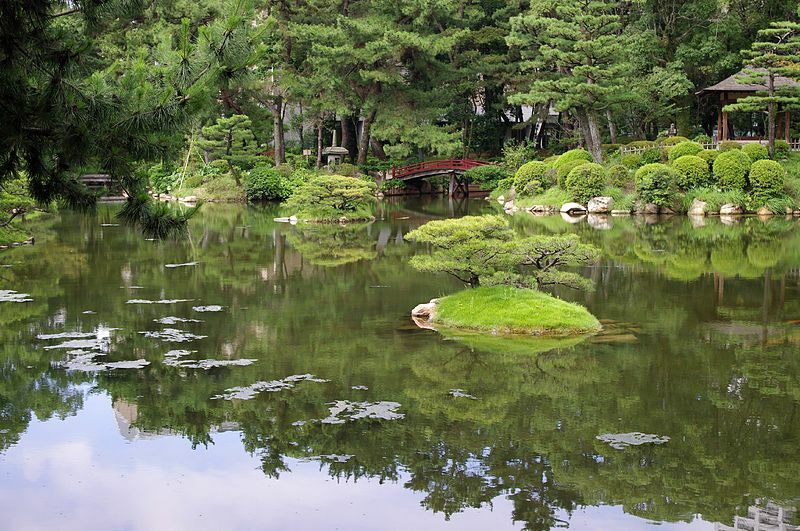 Kenrokuen Garden also disposes of lovely little tea houses, which offer traditional Japanese green tea and sweets. A treat that everyone can enjoy during their visit. 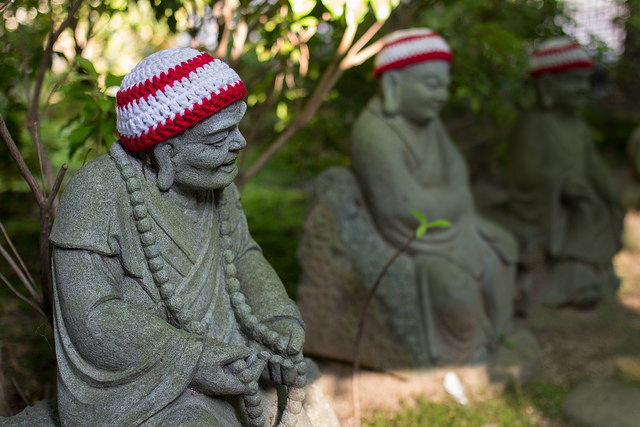 Visit this unique Zen temple, built and dedicated to Daisetsu Teitaro Suzuki, the paramount of Zen Buddhism, the person who introduced the spiritual culture Zen to the West. The D.T. Suzuki Museum takes the form of a brilliantly built concrete complex, which incorporates the Zen art in its every inch. With over 170 stores of literally all kinds: from fresh fish and drinks all the way to clothes, the Omicho Market has much to offer to both residents and international tourists. Enjoy the taste of fresh seafood, caught just a while ago, and explore the tastes of different Japanese vegetables, fruits, and refreshing drinks. 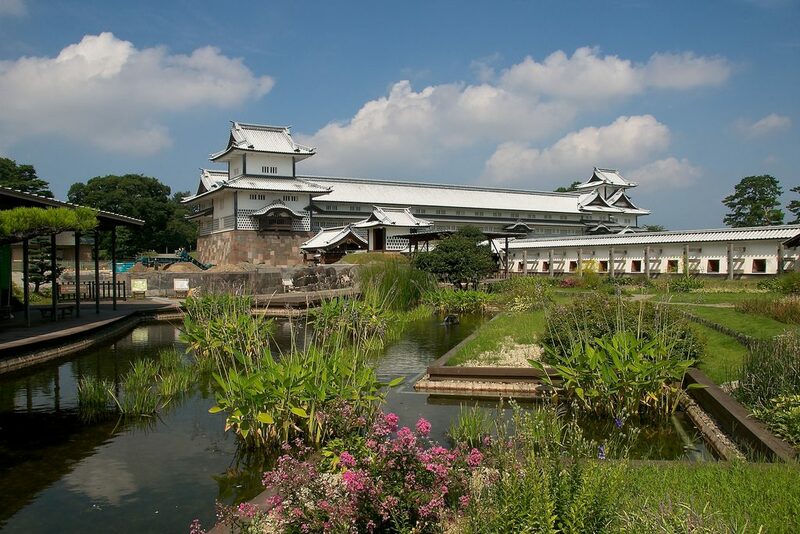 Visit the magnificent seat of the mighty lord of Kaga, one of the richest and wealthiest federal domains of Japan, during the Edo period in the sixteenth century. The castle’s territory will take you back to the year of 1657 when the great Meireki fire burned the Kanazawa castle down to the ground. The current standing reconstruction is an exact copy of what this great building once was, apart from the castle’s central keep, which burned down in another fire in 1602 and was never rebuilt. The thousand year capital, the center of Japan’s sublime gardens, ancient temples, and vibrant shrines, Kyoto is where even the Japanese go to learn and soak up more of their culture. Kyoto is among the most culturally-rich cities in the world, taking its rightful spot right between Paris, Rome, and London. A must-see destination that should be included in the bucket list of every traveler. For the traditional itinerary format on what to see and do in Kyoto, read our Japan in 7 days: Travel itinerary article, as well as Japan in 14 days: Travel plan. Kabuki is a traditional Japanese dance-drama, famous for its outstanding performances, as well as the performers’ costumes and makeup. Kyoto’s famous Minamiza Kabuki Theatre is an extraordinary location, where spectators can enjoy the traditional form of Japanese stage drama. Location: 198 Nakano-cho, Shijo-dori, Yamato-oji nishiiru, Higashiyama-ku. Matcha (powdered green tea) ceremonies have been an essential part of the Japanese culture for centuries. Such gatherings take place for both formal and informal meetings with friends or business partners. As always – describing a ritual cannot compare to living it. 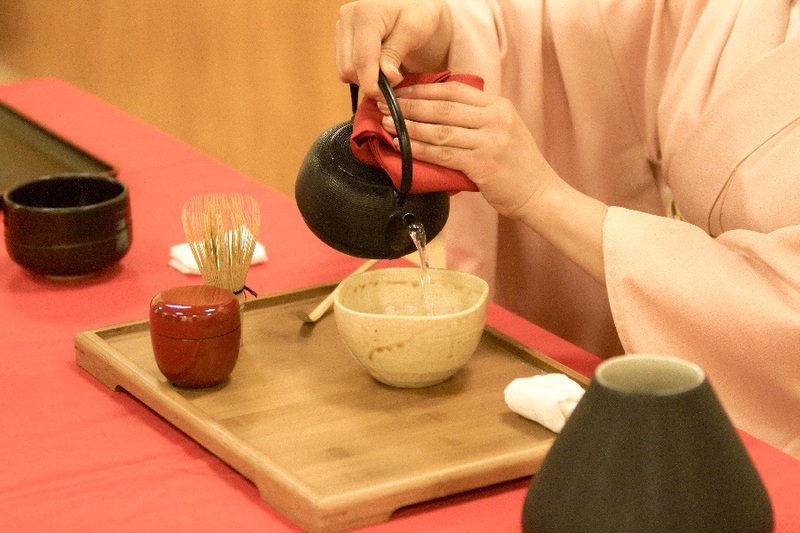 Since you are already keen on Japanese culture – attending a tea ceremony should be a must on your list. For detailed information, you can always ask the concierge at your hotel regarding some great local advice. All of this and more only in the Kyoto International Manga Museum – the best of its kind. Make sure not to step on anyone while at the museum, since visitors are free to take any manga comics and read it, usually lying on the floors. The most famous district in Kyoto, the only geisha place left in the country where traditional wooden architecture meets lovely tea houses – this is Gion. The Japanese love their traditions, which is why even nowadays people still gather in the old tea rooms and organize gatherings that include live music performances, dances or just passionate discussions. Visitors from all over the world can enjoy such events. You will be surprised by the number of Japanese tourists who come from other parts of the country willing to catch a glimpse of it with their cameras. Learn about 400-year old rituals, understand how to appreciate tea and get the most out of its herbs, while trying on a traditional kimono and feeling the art of Japanese elegance. This beautiful pedestrian path that follows a cherry-tree stream was named Philosopher’s walk over a hundred year ago. It is a well-known fact that the famous at the time Professor Nishida Kitaro of the University of Kyoto used to walk here every day and use the time to contemplate. The serenity, peace, and quiet of this 30-minute walk (approximately 2 km long) might just inspire you to take up daily relaxing walks and integrate such activity in your everyday life. The river bank includes some magnificent temples, gardens, and shrines. Furthermore, if you decide to visit the place during spring, you will see the explosion of colors and the mesmerizing effect of the famous cherry blossoming. Location: Sakyo Ward, Kyoto, Kyoto Prefecture 606-8406. Formerly known as Naniwa, the ever-busy Osaka was the first ever officially recognized capital of Japan. It is currently the third largest city area in Japan after Tokyo, with a greater population than any European and American city (apart from New York). Pretty impressive, considering the actual size of Japan and the fact that it doesn’t even get close to the top 30 largest countries in the world. If you wish to learn even more about Osaka, take a look at our Japan in 7 days and Japan in 14 days articles. If you are an admirer of the Japanese culture, this is the place you need to visit. Shitennoji was the first Buddhist temple ever to be constructed in Japan by the state. Similar to many wooden constructions, the temple has burned down more than once or twice throughout the years. However, its reconstruction has never been a question. What is more, after each fire the temple was built in respect of the original 6th-century design. Location: 1-11-18 Shitennoji, Tennoji Ward, Osaka, Osaka Prefecture 543-0051 (JR Tennoji Station). An inspiring view from above is never a bad idea. Visiting the highest skyscraper in Japan is an even better one! The building is located just by the JR Tennoji Station, which makes it perfect for all Japan Rail Pass holders. A mesmerizing view from above is not the only thing Abeno Harukas has to offer! Apart from the observation deck, you can enjoy an Art Museum, located on the 16th story, the Abeno Harukas Kintetsu Department Store, which happens to be the biggest one in Japan and even a hotel with… do we need to say it? With a fantastic view! Location: 1-1-43 Abenosuji, Abeno Ward, Osaka (JR Tennoji Station). Most commonly known as Den Den Town (Japanese slang for electronics – denshikiki), this is the most famous neighborhood in Osaka for electronic gadgets and otaku (obsession with a hobby that changes your lifestyle) items. Before and during the World Wars the area used to focus on books, appliances, and furniture. Nowadays it has turned into a manga and anime-related shopping district, quite similar to Akihabara in Tokyo. This is one of the very few places in Japan where you can bargain the price of the item you wish to buy. However, always be careful as the locals have become specialists on a world-class level when it comes to haggling. Location: Nipponbashi, Naniwa Ward, 556-0005 (15-minute walk from JR Namba Station). 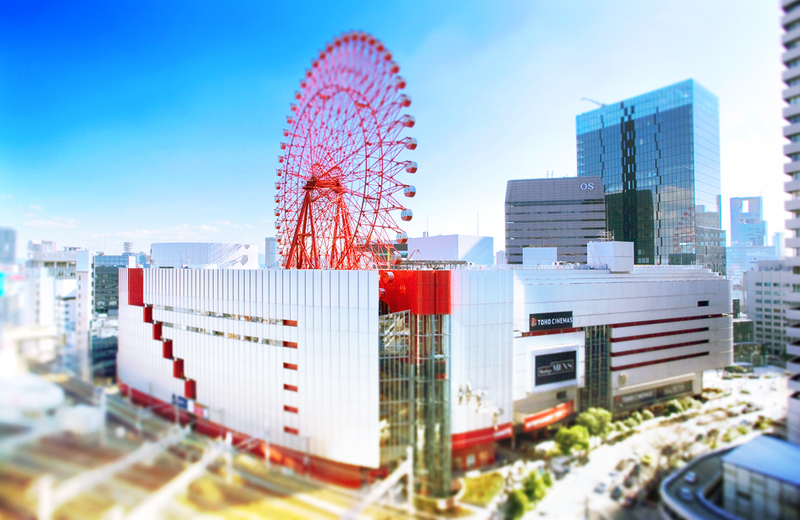 If you have always wanted to ride a massive red Ferris wheel on the top of a skyscraper in Japan – this is the place for you. Apart from an adventurous experience, Hep Five is a 10-story high shopping mall and entertainment center. You will find restaurants, European and Japanese fashion stores, including game centers (7th floor) where many of the local visitors love to gather and play. To top it all after a long and tiring walk, go to the last floor and take a ride on the big red Ferris wheel – a romantic experience, preferred by many couples after sundown. Location: 5-15 Kakudacho, Kita Ward, 530-0017 (Osaka central station). One of the most visual and captivating museums of Osaka. By focusing on the housing and living changes and Japanese social evolution in the last 400 years, this museum tells the story of the ordinary people – how they lived, what they did, gives occupation examples, and whole recreational scenes and villages. 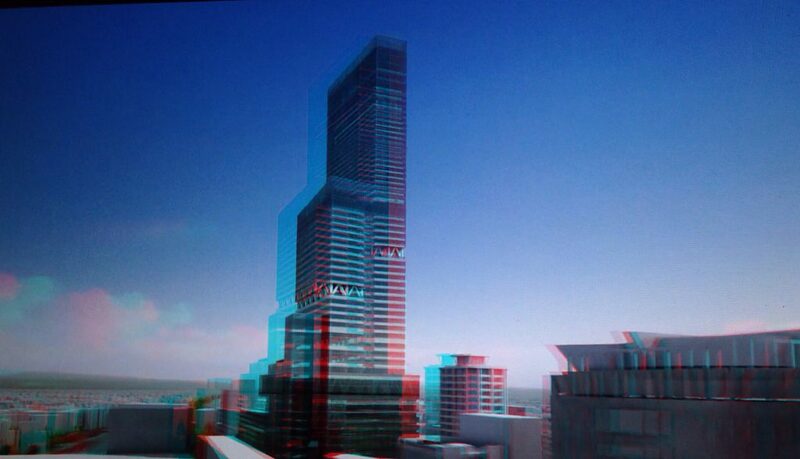 Additionally, it also provides a clear view of the contrast between day and night life and how the city changes. This museum just the place for all history lovers and for those who are simply in love with the Japan. Location: 〒530-0041 Osaka Prefecture, Osaka, Kita Ward, Tenjinbashi, ６丁目４−２０ (JR Temma station). 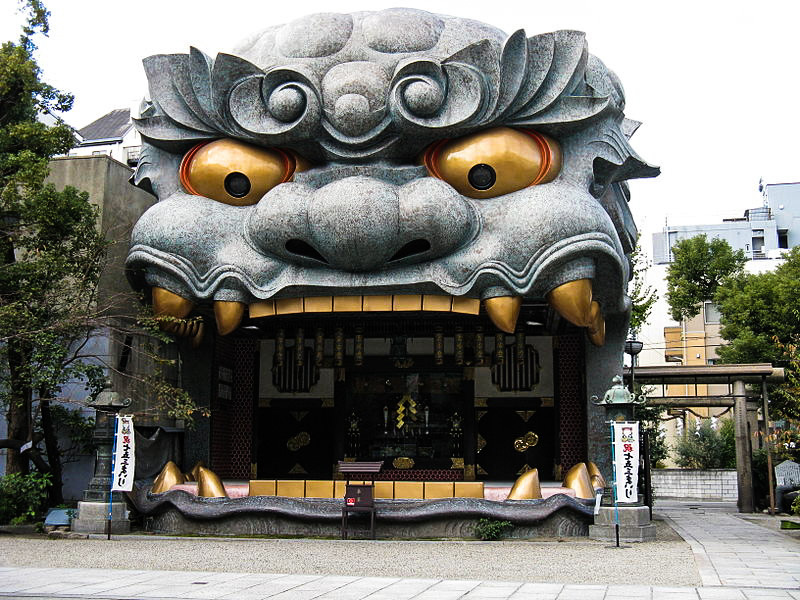 This is a different type of shrine, located in the mouth of a 12-meter tall lion. The exact year of its construction is unclear, although it is believed to have been built during the 11th century. It is thought the lion’s broad and seemingly vicious mouth would swallow all malicious spirits and bring good luck to its visitors. Therefore, many students visit the shrine before important exams or even employers, who wish for the successful development of their business. Location: 2 Chome-9-19 Motomachi, Naniwa Ward, Osaka, Osaka Prefecture 556-0016 (JR Namba station). Kasuga-Taisha is one of the most special shrines in Japan as not only the temple itself but the mountain just behind are both considered holy and are worshiped by the locals. 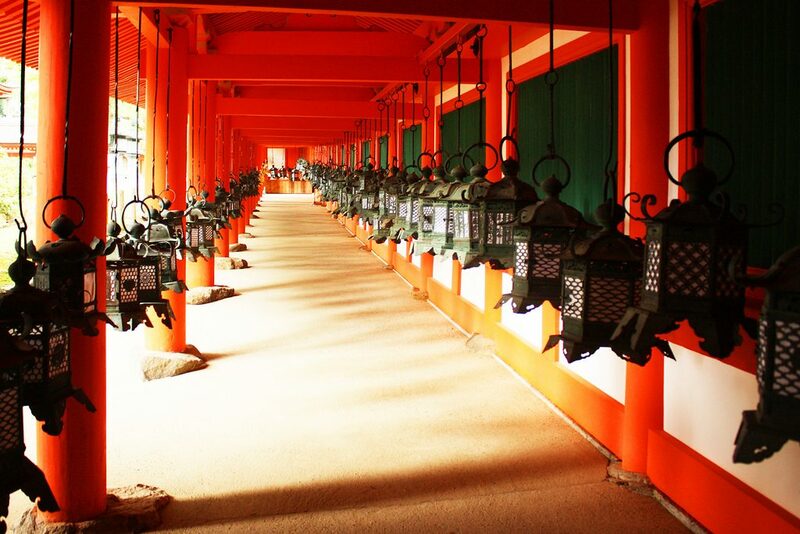 What is more, it is the greatest Shinto shrine on the territory of Nara. Do not be fooled by the beauty of this holy place as you mustn’t forget to take a stroll along the mysterious paths, surrounding it. It is an experience from a whole new world, surprising, considering the millennial history of the shrine. Nara is famous for its Seven Great Temples and Yakushiji is one of them. The temple has a rather interesting history – it was constructed in the seventh century for the recovery of Emperor Tenmu’s sick wife. Similar to many majestic wooden temples, fire also destroyed this one. However, its greatness was never compromised. Within this temple, you will find a three stories tall pagoda, which is home to a Great Buddha – both of which are now national treasures. Similar to the temple mentioned above, Gangoji is one of the Seven Great Temples of Nara as well as a world-heritage site. Having been moved to Nara from Asuka in 718, it is one of the oldest temples in Japan, preserving within its halls the spirit of history. 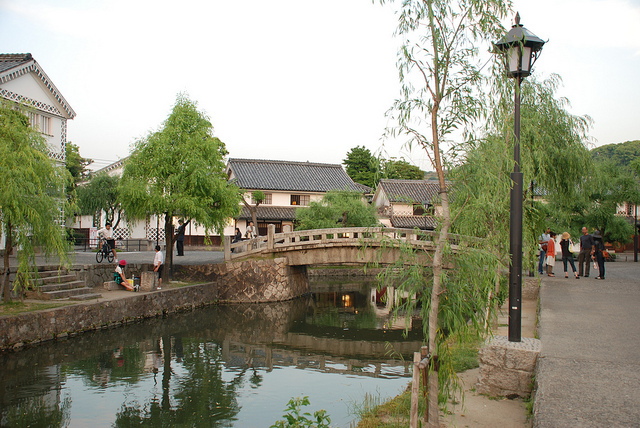 The Kurashiki Canal area was built in the early Edo period. It was mainly used as rice distribution center and therefore one of the keys of Okayama prefecture. The literal translation of Kurashiki is “town of storehouses”, indicating its original purpose. The warehouses have been transformed into welcoming cafes, museums, and small shops. The well-preserved area and beautiful canal make it very attractive to international visitors. Okayama Castle, known as Crow Castle for its black exterior, is an excellent Japanese construction, six stories high. Its dark walls and finely engraved adornments will make you want to take a look inside, as it is equally fascinating. In the 17th century, the castle was called Golden Crow Castle, as the central keep featured golden gilded roof tiles. Now only part of the castle’s roof remains gilded in gold. Just across the river from Korakuen Garden (one of the most beautiful gardens in Japan), this fortress makes for a perfect visit after a busy day. Korakuen forms part of Japan’s three most beautiful gardens (together with Kenrokuen in Kanazawa and Kairakuen in Mito). 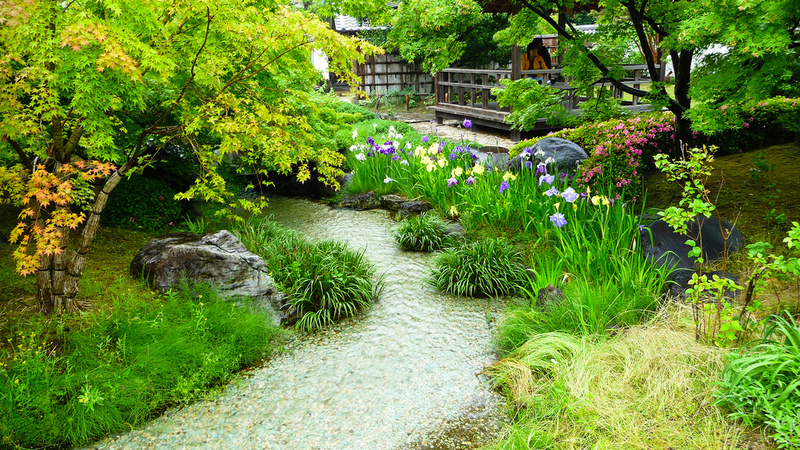 Each garden represents vivid examples of the essence of Japan’s spiritual culture. Kokaku-en in translation means “Garden of pleasure after” – a reference to the Confucius saying that a ruler must first attend to the needs of the ordinary people, and only then should he consider his own. By having this in mind, you can better understand why this garden is regarded as one of Japan’s best. Its colors are completely different with every season, and the surprises behind each corner are countless. Located nearby the Korakuen Garden, the Yumeji Art Museum is the perfect final destination. It is famous for the art of the great Japanese master Takehisa Yumjei, who is known as the Japanese Toulouse-Lautrec. His depiction of beautiful women in kimonos and smooth S-shaped lines has become a signature of his own artistic style, called Bijin-ga. The museum is one of the main local atractions and is included in the Michelin Green Guide, with one star. For more information about what to see in Hiroshima, refer to our Japan in 14 days article. Hondori is one of the main city streets of Hiroshima. However, it is not the typical central street. The whole place is undercover, which makes it the perfect place to go on a rainy day or an escape from the summer heat. Moreover, the street is also closed to traffic so that visitors are not disturbed by the city noise. Home to various department stores, cafes and restaurants, Hondori offers all visitors the opportunity to try some of Japan’s traditional meals, have a coffee with your friends or just take a stroll downtown. Even though this may not be the most efficient way to move around, hopping on one of the Hiroshima tramways will bring you an entirely new experience. The city atmosphere completely changes when you see the inside of the city from the tram mirrors. One of the great things about it is the flat fare – no matter how far you go, you always pay the same amount. So hop on and take in as much from this authentic Hiroshima atmosphere as possible. Although it is not included in Japan’s list of top three most beautiful gardens, Shukkeien stands on the ground of so much history, events and art that it can be easily qualified as National Treasure. 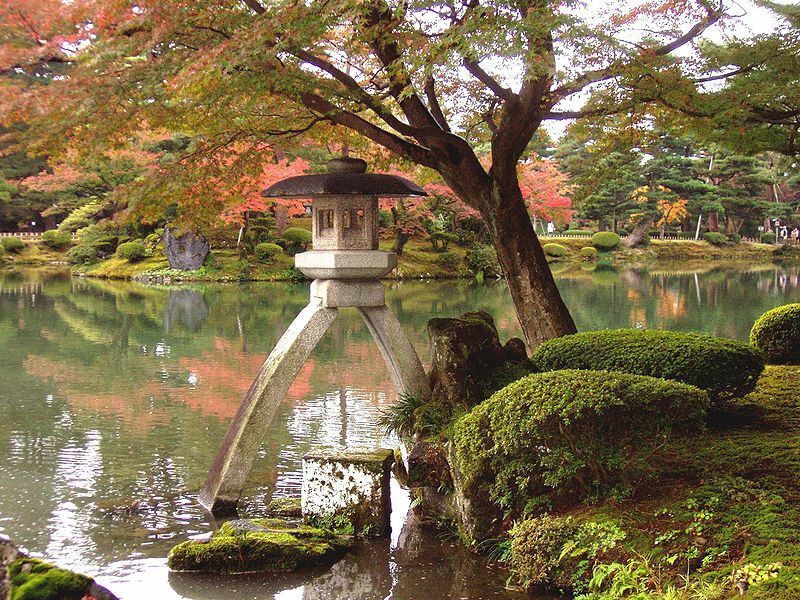 The garden was originally built in 1620 by Ueda Soko as a private villa garden for the feudal lords of Hiroshima. In the early 1940s, the doors of the garden opened to the general public and made it famous quite quickly throughout Japan. For more “What to do in Miyajima” suggestions, see our Japan in 14 days article. If you have already visited the gorgeous Itsukushima Shrine and are looking for nature and unforgettable views – go straight up Mount Minsen. 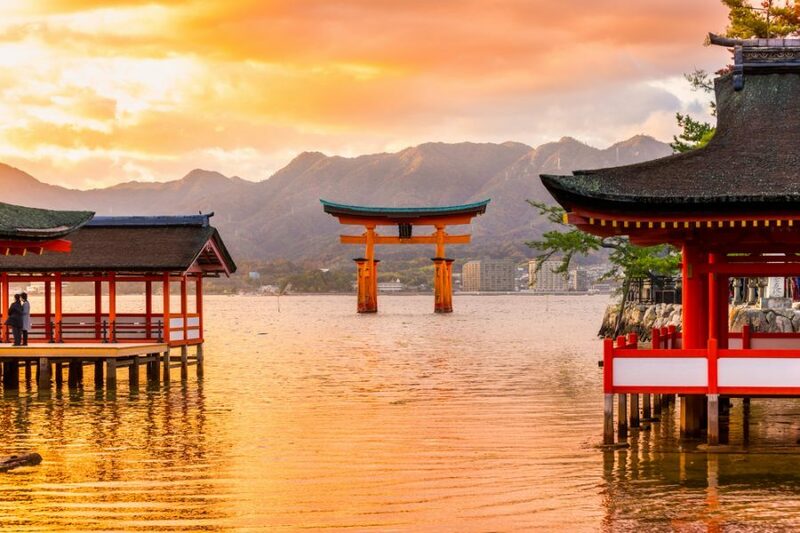 Located at 500 meters above sea level, this is the highest peak of Miyajima, offering breathtaking views that spread all the way to Hiroshima. But if you wish to climb by foot – go ahead! For those who not so eager to walk, a ropeway will take you up the mountain, straight from the town. However, note that to reach the peak you will have to walk 1 km before getting to the highest point. This park is a place where wild deer run free and people go to take relaxing walks and enjoy nature. If you wish to escape the crowds and enjoy a quiet park with beautiful temples and various shops, this is the place for you. Our recommendation: breathe in the fresh air of Sambashimae with your family and friends. Please, do pay attention to the signs and do not feed the deer, as these are wild animals. Daisho-in is a spiritual place, where visitors can experience a live prayer session, accompanied by a taiko drum performance. Take your time and enjoy all the hidden gems this temple and its surroundings have to offer. The peace and serenity of the place will keep you protected from tourist noise, as it is located at the foot of the Minsen mountain and far from any shopping boots. An excellent end for any trip! 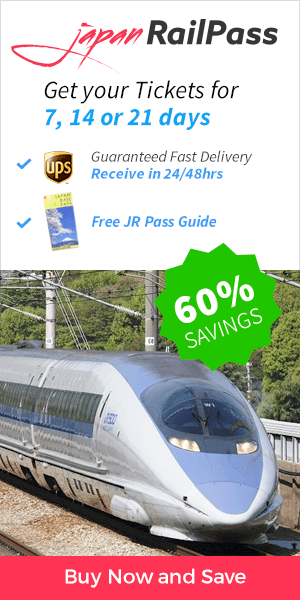 hello, I am travelling to Japan in April and would like to know whether I will be able to buy JR pass in japan. I read that till end of march it is possible to buy directly after I arrive to country. will it also be possible in april? thank you. Hi Ivan! The JR Pass can be purchased online or through specialized agents, like this website. However the pass is also sold at selected stations inside Japan, at an increased cost. While you are now able to purchase the JR Pass in Japan, please keep in mind that it is only sold in particular stations, at a higher price and you are required to pay in Yens, as no other currency will be accepted. Happy travels! Hi there, going to japan for 21 days end of March 2019. We’re flying in to Tokyo and departing out of Osaka. Would you recommend to buy the 21 days pass or pay as we go from Tokyo to Osaka since we’d like to stop over various cities in between? The JR Pass gives you unlimited access to all Japan Rail National trains, JR bus services, ferry services, and airport transfers. A 7-day JR Pass only costs ¥29.110 which is actually cheaper than a return ticket from Tokyo to Kyoto on a Shinkansen bullet train. This means that if you make just one long-distance trip you can already save money. If you make multiple trips then you start saving thousands of yen. In addition, when you start factoring in the money you would spend on the metro, buses, transfers, and ferries, then the savings become a must. A return transfer from Narita Airport is over ¥2.600 and a one-day metro and bus pass in Tokyo costs around ¥1.590. We recommend you to check which are the individual costs of your itinerary and compare them to the cost of the Japan Rail Pass to assess if it’s the ticket that best fits your trip. We are planning a 21 days trip to Japan in April 2019. Ideally we would like to stay in Tokyo and Kyoto and use these cities as a base for day trips (by train) to other cities in Japan. We will spend 3 or 4 days visiting these 2 cities but we are looking at ways to explore other area of Japan that can be reached easily. Since we do not want to carry our luggage during the day trip we are looking at day trips that can be done by leaving in the morning and returning to Tokyo / Kyoto at night. Also we are looking at day trips that can be done by foot from the train station at destination. we are travelling to Japan next year arriving 26 April in Tokyo and departing 16 May, so almost 3 weeks. Your itinerary looks really interesting. We would really like to see the Japanese Alps as well. How would you suggest we work this in, and can the JR pass be used to get there? Where would you suggest we base ourselves in this region? Also we don’t want to be changing hotels every couple of days, so if we were to base ourselves in a couple of places where would you suggest? Hi Rayne! Takayama is easy to access using your Japan Rail Pass. If traveling from Tokyo to Takayama, first take the JR Tokaido Shinkansen to Nagoya. If traveling from Kyoto or Osaka to Takayama, from either Shin-Osaka Station or Kyoto Station, take the Hikari or Kodama trains on the Tokaido Line to Nagoya. Once in Nagoya, take the JR Hida Limited Express to Takayama. Happy travels! Thank you for all this information. My question: I arrive in Tokyo Narita on May 8, 2018 at 1650 hours. I would like to get to Kyoto that night. Is there a timetable for trains from Tokyo to Kyoto? A standard Tokyo to Kyoto trip with the JR Pass takes close to 2 hours and 40 minutes, taking the Hikari Shinkansen. Hyperdia offers detailed timetables, platform information, trip duration and exact distance, which will help you greatly in organizing your trips in Japan. We strongly recommend you to check it to better plan your trip. Hello! This blog is very useful however I stil have a lot of questions in mind regarding the 14 day JR rail pass. We are planning to travel from kumamoto to fukuoka, hiroshima, nara, kyoto, osaka, nagoya, shizuoka, tokyo, gunma, niigata, fukushima, sendai, miyagi and sapporo. Would this be possible with the 14 day JR rail pass without any additional charges? Id be very glad if you would have suggestions on out itinerary. Thank you very much. Kumamoto and Fukuoka are connected thorugh the Kyushu Shinkansen. This bullet train allows rapid travel between these cities and is included in the Japan Rail Pass. Then you can easily reach Hiroshima in the the Sakura train on the Sanyo Shinkansen line. Hiroshima is two hours from Fukuoka. This train is also covered by the JR Pass. From Hiroshima you will be able to easily reach Kyoto traveling on the Sanyo Shinkansen until Shin-Osaka Station and them transfering to the Hikari bullet train to Kyoto Station. To get from Kyoto to Nara, begin at Kyoto Station. Take the Miyakoji Rapid Train, on the JR Nara line to JR Nara Station. After that you will be able to easily reach Osaka in the Yamatoji Rapid Train from JR Nara Station to JR Osaka Station. To go to Nagoya from Osaka, begin your journey at Shin-Osaka Station. Take the JR Tokaido Shinkansen Kodama or Hikari trains to Nagoya Station. Shizuoka is a stop located at the halfway point between Nagoya and Tokyo. From Nagoya Station, Shizuoka is about a one hour ride on the Hikari train or one hour and 20 minutes on the Kodama train of the JR Tokaido Shinkansen Line. From Shizuoka you can easily reach Tokyo taking the JR Limited Express Odoriko. Since Gunma, Niigata, Fukushima are prefactures it is very difficult to guide your itinerary at this point since it will depend on where you aim to go but most well known places are also accessible in transportation included in the JR Pass. Just a quick note: JR buses, included in the Japan Rail Pass, operate locally in Gunma, Niigata and Fukushima! Sendai is easiest accessible from Tokyo: from Tokyo Station, take the JR Tohoku Shinkansen line to Sendai Station. When using the Komachi, Hayate, or Hayabusa trains, the trip takes just over an hour and a half. On the Yamabiko train, expect a journey of two hours. The entire trip is covered by the JR Pass. Finally, travel to Sapporo by train is fully covered by the Japan Rail Pass. From Tokyo Station, take the JR Tohoku / Hokkaido Shinkansen to Shin-Hakodate Station. This is the halfway mark of the nearly eight-hour journey.From Shin-Hakodate Station, you will take the Hokuto limited express or Super Hokuto trains to Sapporo Station. 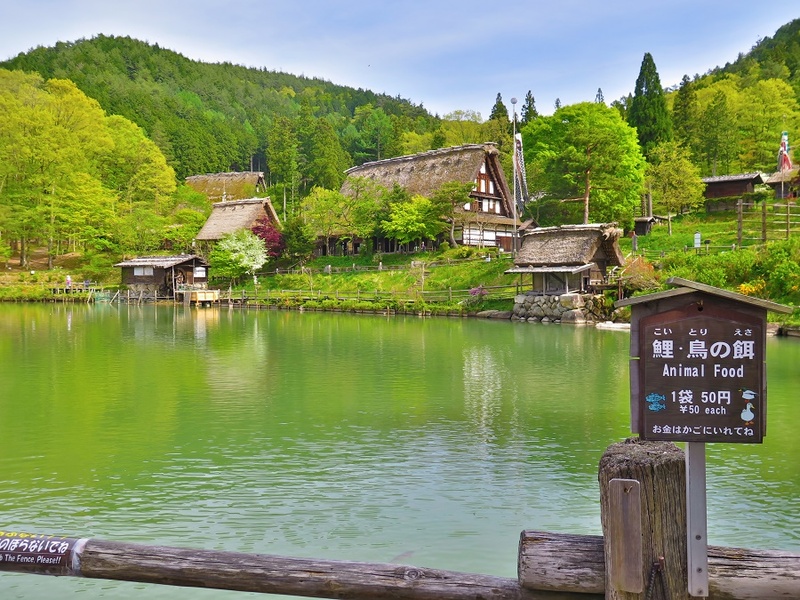 It is perfectly doable to embark on a day trip to Shirakawa-go during your stay in Takayama. There are no train services to Shirakawa-go, but the Nohi Bus is available from Takayama. The trip lasts approximately one hour and is not covered by the Japan Rail Pass. We are looking to plan a trip to Japan in 2018, arriving May 10th and leaving June 2nd. So far my plan is: Kyoto (5n) – Fukuoka (2) – Hiroshima (2n) – Koyasan (1n) – Osaka (4n) – Numazu (4n) – Tokyo (5n). I would of course plan some day trips (to Nara and Miyajima for example). – Is this a well-balanced itinerary? – Can we use a 21 days pass for most of the trip? – Can we get around Tokyo for 2 days without a pass or should we consider switching our stays in Tokyo and Numazu? Yes – the Japan Rail Pass will cover the main trips between the mentioned cities. – To go from Kyoto to Fukuoka you will need to make one change of line, which will presumably be at Shin-Osaka to change from the Hikari bullet train that runs on the Tokaido line to the Sakura train on the Sanyo Shinkansen line, departing from Shin-Osaka Station and arriving at Hakata Station. This trip entails about two hours and forty minutes of travel time. – To get to Hiroshima from Fukuoka, you might want to take the same Sakura train on the Sanyo Shinkansen line and get off at Hiroshima Station. – To arrive to Mount Koya with your Japan Rail Pass take the JR Kuroshio train from Shin-Osaka to reach Wakayama station. Once there, take the JR Wakayama line for 19 stops, until you reach Hashimoto station. From Hashimoto station take the Nankai-Koya line and ride for 9 stops, until Gokurakubashi station. From there, take the Nankai Koyasan Cable car for a short 5-minute ride. Get off at Koyasan station. This same line will take you back to Osaka for the next stage of your trip! – While in Osaka, you will be entitled to use the Osaka Loop line at no additional cost. Please note that not all transports within the city are included in the Japan Rail Pass. – To get from Osaka to Numazu, you will have to ride the Shinkansen Hikari from Shin-Osaka to Shizuoka Station. Once there you will have to transfer to JR Tokaido Line (for ATAMI) and get off at Numazu Station. – Once in Tokyo you will be entitled to use the Yamanote line at no additional cost, as well as the Keihin-Tohoku Line, the Rapid Chuo Line, the local Chuo-Sobu line and other metropolitan lines that circulate on the outskirts of the city such as the JR Keiyo, Musashi, Nambu and Yokohama lines. Please note that the rest of lines are not included in the Japan Rail Pass and thus it could be interesting to get arount Tokyo the last days without the Japan Rail Pass. – Nara can be easily reached from any of the main cities using your Japan Rail Pass, we recommend to read our Nara guide for further information. – Miyajima can be easily reached from Hiroshima by taking a tram to the Miyajimaguchi ferry port. The good news is thatou can use your Japan Rail Pass to access the JR ferry for free. The ferry ride takes only about ten minutes.